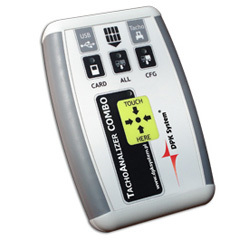 TachoAnalizer COMBO device is used for downloading data from digital tachograph and/or drivers’ cards. It enables archiving data on PC computer as well as store data in device internal memory. 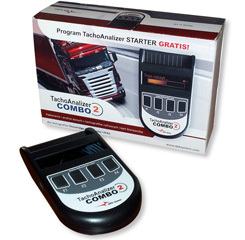 TachoAnalizer Combo 2 is the upgraded version of TachoCombo. Technically it works in the same way as TachoCombo, while having several improvements like reduced power consumption for longer battery life, rechargeable batteries which can be charged via USB interface and download process that is much more faster.